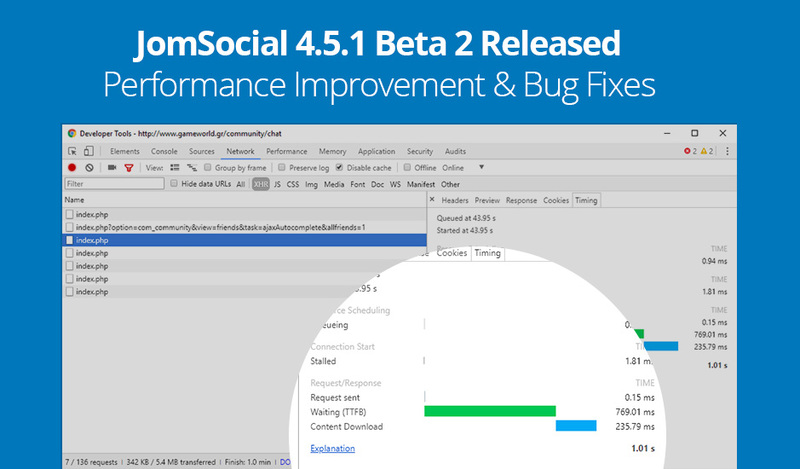 JomSocial is very happy to announce release of JomSocial Version 4.5.1 Beta 2 - important release with performance improvement and 17+ bug fixes plus some other improvements. We would like to thank you for the positive feedback and bug reports in the 4.5.1 beta 1. In this release, we have addressed the performance issue also and expect more improvements in the upcoming releases. Problem: JomSocial ajax init chat loads all conversations at a time. 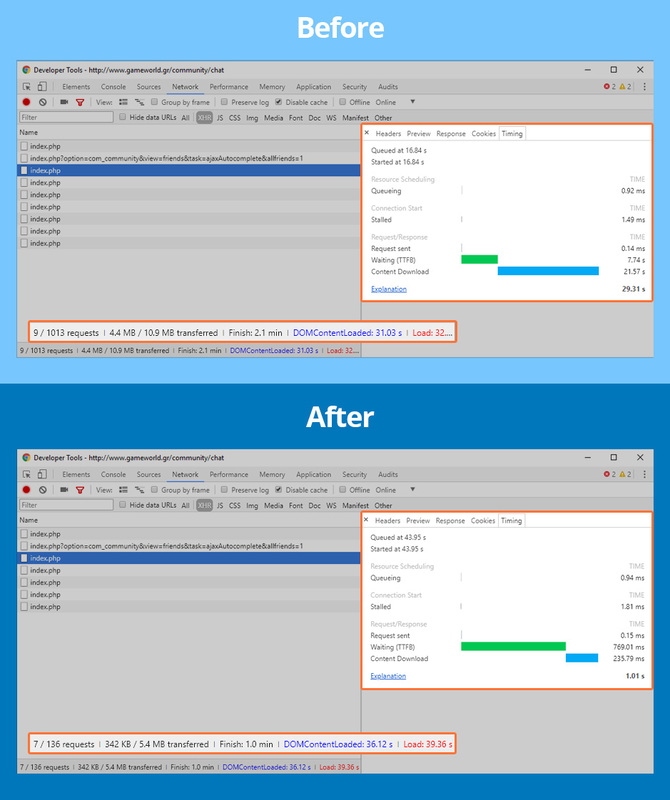 If a user has too many conversions ( like ~ 4k), it causes slow loading and freezing browser. Problem:JomSocial chat is using ajax long polling that keeps connecting server for scanning new chats on the system. This will help make chat faster. However, some shared hostings limit the number of connections with the server, so website gonna be slow if too many users are online. Solution: Remove ajax long polling, and use simple ajax. error on the JS Member Map + how to hide super user members on the Map. Go to your account and download JomSocial 4.5. Unzip downloaded package, and find beta installer. NOTE 1: JomSocial 4.5.1 Beta 2 is not a stable version and as such will not be officially supported by us. You are welcome to post eventual bugs and suggestions for improvements, but if you install this version on production site, you are bound to fix all issues yourself. NOTE 2: After you upgrade to JomSocial 4.5.1 Beta 2, the Joomla update notification may pop up saying that there is a newer version of JomSocial (4.5) because the version numbers are not the same. Just ignore it.